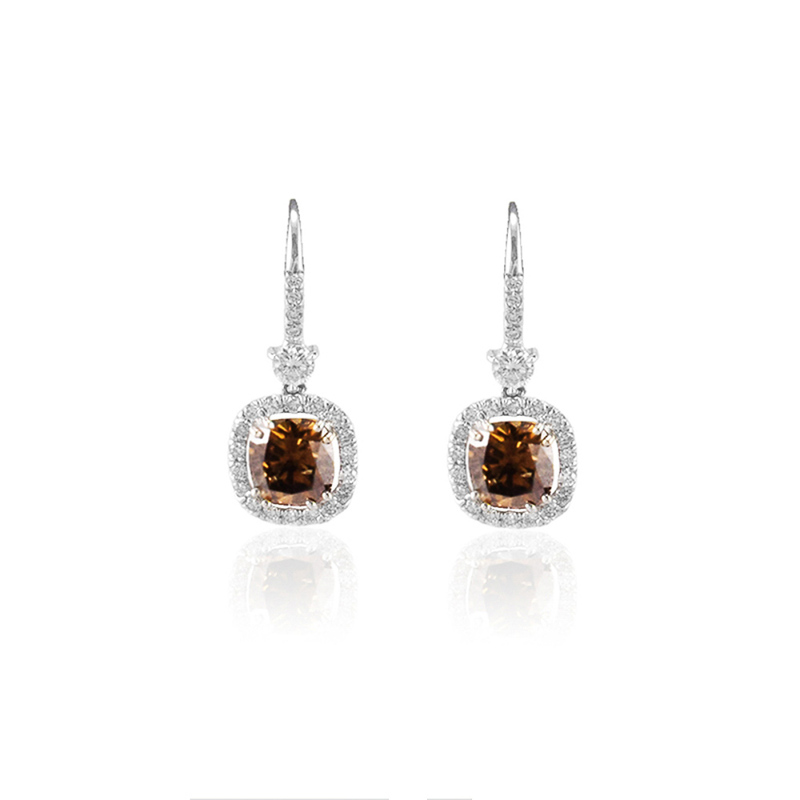 Finely crafted, these earrings feature deeply saturated 2.00 carat & 2.04 carat natural fancy dark brown cushion cut diamonds. The center diamonds are natural and GIA certified. The luster and transparency is superb. These dynamic drop earrings are each surrounded by a glittering halo of brilliant round diamonds. Diamonds also extend up toward the earlobe. Total weight on the accent diamonds is 1.15 carat. The earrings are fashioned of 18 Karat white gold and are the ultimate fancy colored diamond earrings.